We start with fresh, wild caught, Pacific Coho Salmon fillets – the absolute best quality salmon you can buy for you and your family, and from the same supplier top gourmet restaurants use! Then we add fresh, locally sourced fruits and vegetables, and all natural, organic supplements, sea vegetables and herbs. It all adds up to most complete and balanced raw diet you can buy for your cat, kitten or ferret. 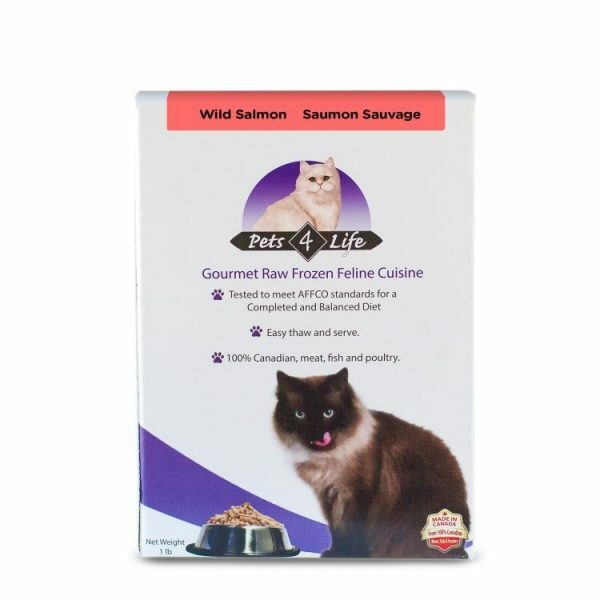 Wild Pacific Coho Salmon (Contains Salmon Meat Filets and Salmon Bones), Kale, Cabbage, Carrots, Apples, Eggs, Sunflower Seeds, Flax Seeds, Alfalfa Meal, Sea Kelp, Ground Almond, Grapefruit Seed Extract.